After breakfast, departure towards Cuiabá River at the end of Transpantaneira, 115km that will take approximately 2h30. 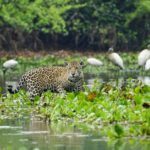 Join one of our boats for a 6 hours safari looking for the elusive and admired Jaguar. 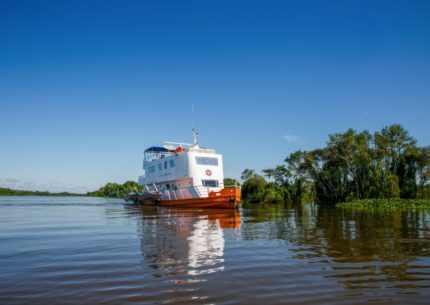 We will be exploring Cuiabá river, Piquiri, Three brothers riverbanks, bays and channels. 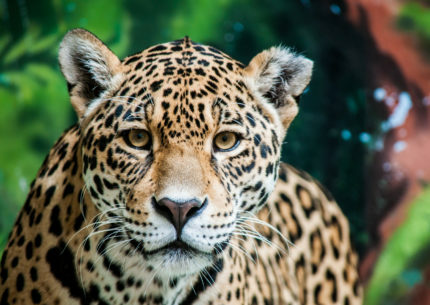 The jaguar é the 3rd biggest feline in the world, and the unique that bite its pray in the skull, paralyzing it instantly. Our lunch will be a lunchbox with fruits and sandwiches prepared by the Lodge cuisine, in order not to miss an unique chance of meeting this magnificent predator. Return to Jofre region around 17h00. Board our safari vehicle back to the lodge, arriving for dinner. 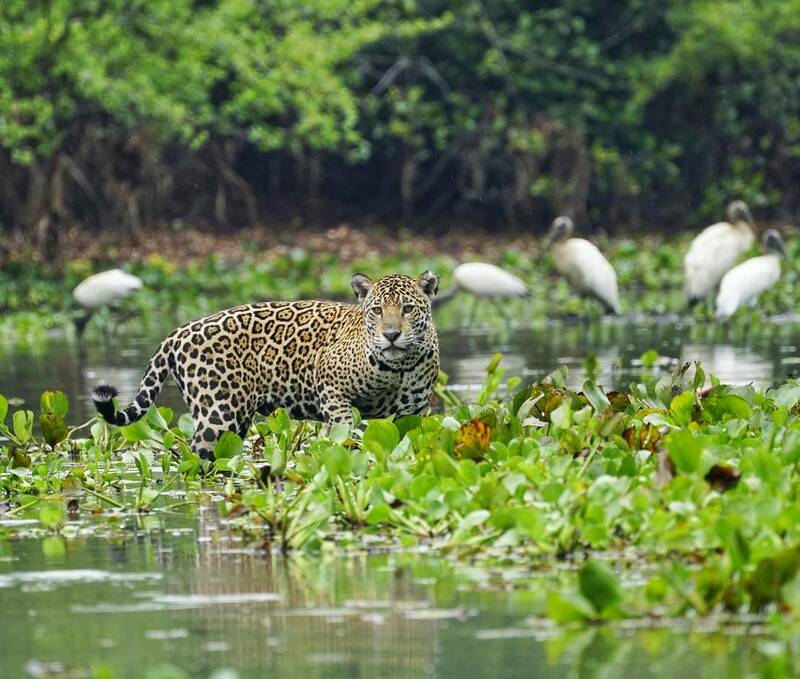 Early rising, to witness the awakening of the Pantanal at dawn. 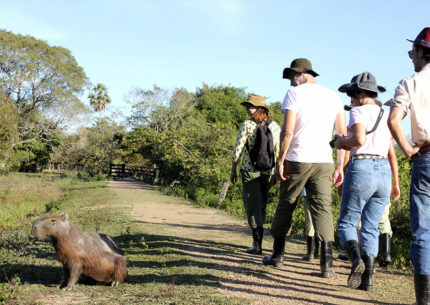 Breakfast and departure at 7h30 or 12h30 to Cuiaba, with stops along the Transpantaneira Park Road for photos and a last glimpse of this unique ecosystem. Note: The order of the activities may be modified according to the program at the lodge and weather or terrain conditions. 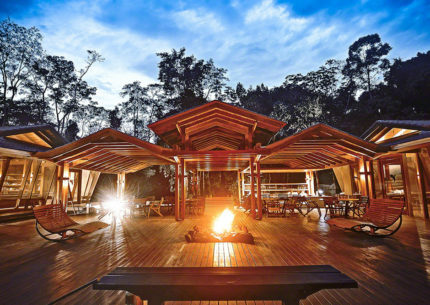 The Araras Pantanal Eco Lodge team commitment is for a full enjoyment of the Pantanal Flood Plains, making it an unforgettable stay. Is the transportation from Cuiaba incuded? Lunch on the day of arrival is not incuded, but if you let us know in advance, we will provide lunch and you can settle locally this extra service. All activities at the lodge follow the rules for Safety Management and are monitored through radio. You will be able to access the internet through complimentary wi fi in social areas. I´m a vegetarian or I´ve got some food intolerance? Do I have to let the lodge know? Our meals are buffer, with various dishes, including vegetarian. However, if you let us know, we will be able to serve you better. From June to September, at night, temperatures can be as low as 4°C – 39°F: so please bring a sweater. As you are joining a river safari on motor boat, a windbreaker may come in handy.